We're off and running in a new TTAB year. Don't forget that e-mail subscriptions to the TTABlog are available. Just enter your e-mail address in the box on the right to receive a daily update via Feedblitz. You may also follow the TTABlog on Twitter: @TTABlog. 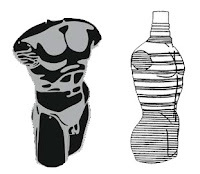 TTABlog Test: Are These Two Male Torso-Shaped Perfume Bottles Confusingly Similar [Yes]? TTABlog Test: Is "PINK COW & Design" Confusable With "RED BULL & Design" for Soft Drinks [Yes]? TTABlog Test: Are These Two "I-10" Marks Confusable for Beer? In 2018, What was the Rate of TTAB Affirmance of Section 2(d) Refusals to Register? In 2018, How Often Did the TTAB Affirm Section 2(e)(1) Mere Descriptiveness Refusals? TTAB Finds COMBAT ROSARY Generic for . . . Guess What? WYHA? 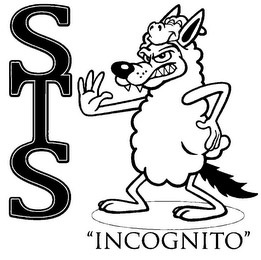 TTAB Rejects Applicant's Attack on Cited Registration That Was "Wrongly Issued"
The Trademark Reporter's 2019 "Annual Review of U.S. Trademark Cases"